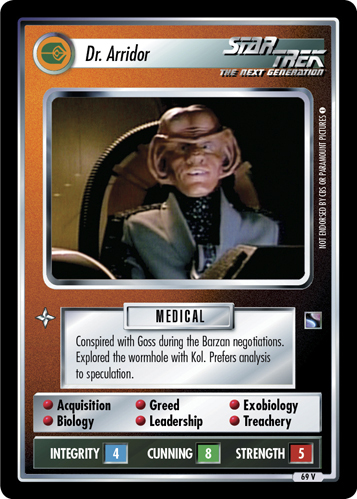 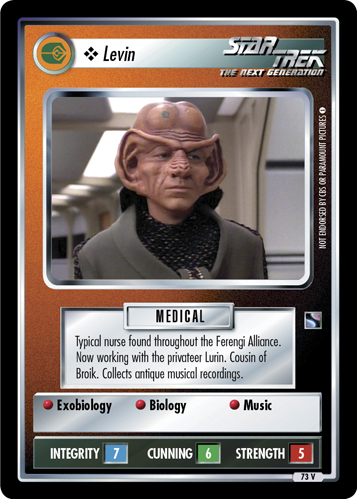 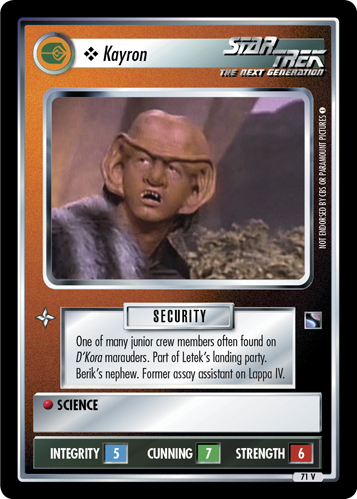 Ferengi scientist serving under Goss. 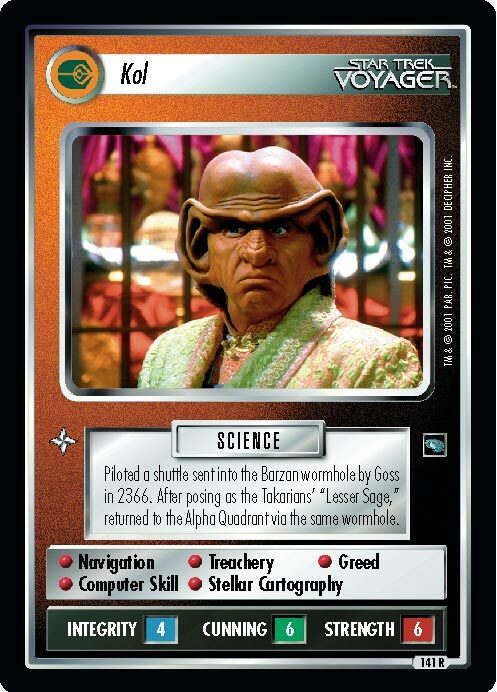 Studied the Barzan wormhole with Dr. Arridor. 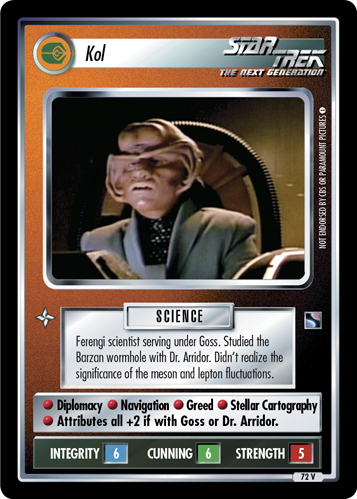 Didn't realize the significance of the meson and lepton fluctuations. 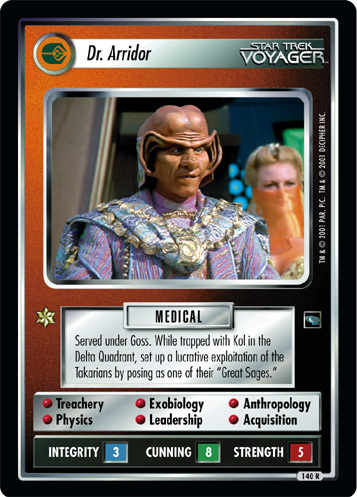 • Diplomacy • Navigation • Greed • Stellar Cartography • Attributes all +2 if with Goss or Dr. Arridor.